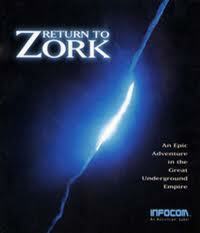 Released in 1993 in Return To Zork the great underground Empire of Zork was destroyed and all evil magic was dispersed. However, 700 years in the future, the mystical dark recesses beneath the Valley of the Sparrow are back. Your mission is to save the Human race from Morphius, the evil ruler of the Great Underground Empire.